AdSense Matched Content ads are a native ad format that engages users and helps to increase ad revenue. Placed below the content, it recommends more of your articles to keep users longer on your site and displays relevant ads at the same time. This is how it might look like based on an example from AdSense. The elements marked as “Ad” are advertisements, while the rest are recommended posts from your site. According to AdSense, a Matched Content unit could increase page views by 9% on average, and time spent on your site by 10%. You can even switch off the ads and still benefit from the positive effects of your user engagement. In this tutorial, I am going to show you how to set up an AdSense Matched Content ad below your articles on your WordPress site. the site is verified under “My sites” in your AdSense account. If you don’t find Matched Content in your AdSense account, then your site is either not eligible, yet. Follow these steps to generate the code for a Matched Content ad in your AdSense account. The most important additional option to choose is whether to monetize the Matched Content unit or not. The default setting is to use ads within the unit. It is entirely up to you whether you want that or not. I would keep the other options to default, especially the Size set to Responsive, since most themes have responsive layouts with different sizes for mobile and desktop. Once you copied the Matched Content code, you can place it on your site, preferably below the content or in the sidebar. You can do this manually for posts and use a simple WordPress HTML widget for the sidebar. You can also inject Matched Content ads automatically below any posts and even customize it without ever touching the code by using the Advanced Ads plugin. Just follow the instructions below. 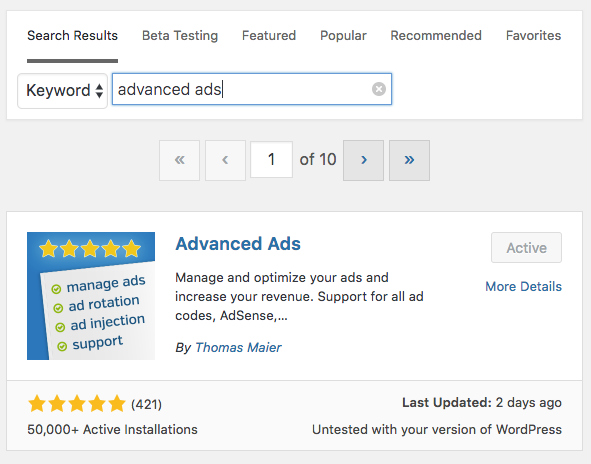 To get Advanced Ads, just log in to your WordPress dashboard and follow the steps below or this video tutorial. Enter the publisher ID in the AdSense ID field. You can find it in the URL when you are logged into your AdSense account. 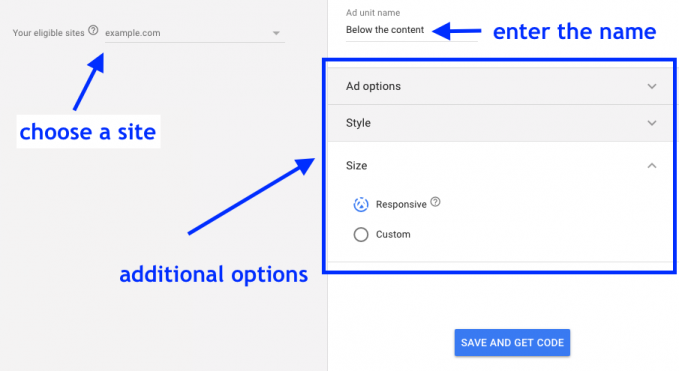 Before you can automatically inject and customize the Matched Content ad, you need to create it in Advanced Ads. In most cases, you would want to show Matched Content only on posts and not on pages or other types of content. After you saved the advertisement, a box with potential placements should show up. Click on the placement that is highlighted in the image below. After you selected the placement, the Matched Content code will be added to your site. AdSense might take up to 30 minutes to actually show the Matched Content unit. Don’t forget to clear your cache if your site uses one. The Responsive add-on comes with the option to customize the layout and size of the Matched Content ad unit. Those options are not available through the AdSense backend. The Responsive add-on can also convert your Matched Content ad unit into the appropriate AMP format automatically so that you can make use of it on this specific page format as well. You can choose between an automatic conversion or set up another size through the additional options. You can analyze the performance of your Matched Content ads through your AdSense account. You should find the Matched Content performance in the report now. Have you just started using Google AdSense and are unsure if you did something wrong with your setup? Open now a thread in our forum and get free support.